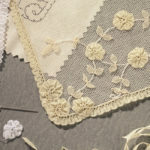 It’s no mystery why Weldon’s Practical Needlework continues to fascinate and inspire needleworkers in the modern age: the attention to design, detail illustrations, and the charming Victorian-era instructions make it a delight to page through. 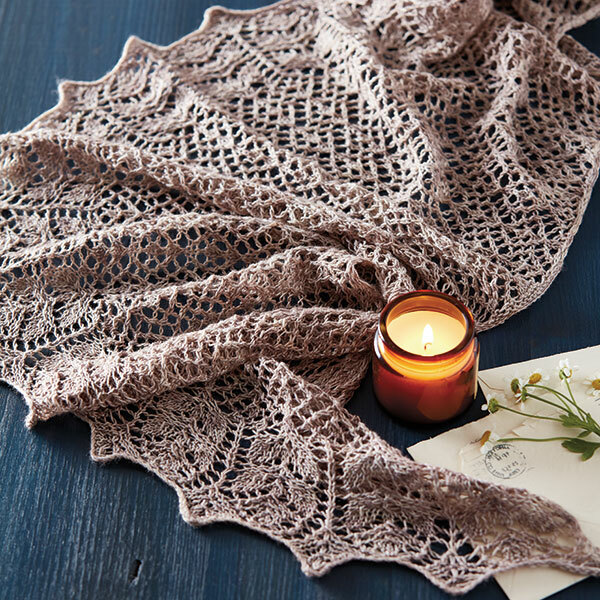 Carolyn Wyborny used a veil pattern from Volume 5 of Weldon’s as the bases for her crescent shawl featured in the May/June 2018 issue of PieceWork. Here’s Carolyn to tell us more. Needlework facsimile editions, I couldn’t stop oohing and aahing over the beautiful needlework, much of it forgotten or ignored now. I’m always looking for a new edging or stitch pattern to inspire a new project and to keep that classic and beautiful needlework alive and contemporary, and every time I pick up and look through my Weldon’s set, I find new inspiration. For this project, I wanted to create a lace-bordered shawl in the wide crescent shape that is so popular now, but with a lace pattern in the body instead of the solid fabrics shown in many patterns. Additionally, I wanted the construction to be a single piece worked in one direction to make it suitable for a gradient-dyed yarn. Carolyn Wyborny’s captivating shawl in luxurious merino/silk yarn will delight. Photos by George Boe. Because her family was traditional, in that all the women did needlework, Carolyn Wyborny has been crocheting, knitting, and tatting since she was very young. She works as a software engineer for a large high-tech company but spends most of her free time coding up knitting and crochet designs. She lives west of Portland, Oregon, with her husband, two children, and several pets. 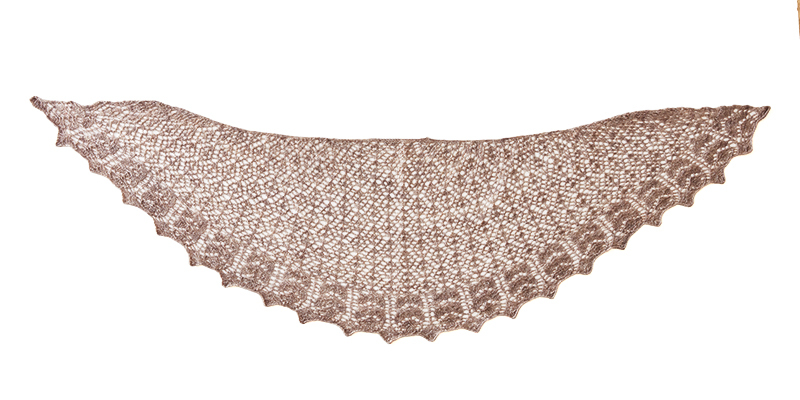 Featured Image: Carolyn Wyborny’s shawl shown in full. Learn more about the history of lace in PieceWork!